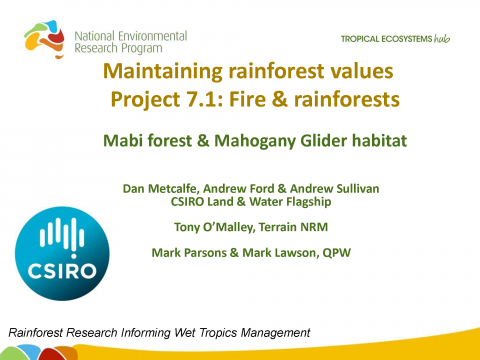 Dan Metcalfe (CSIRO), Andrew Ford (CSIRO); Littoral rainforest, Mabi forest & Mahogany Glider habitat; Tuesday 7th May 2013. 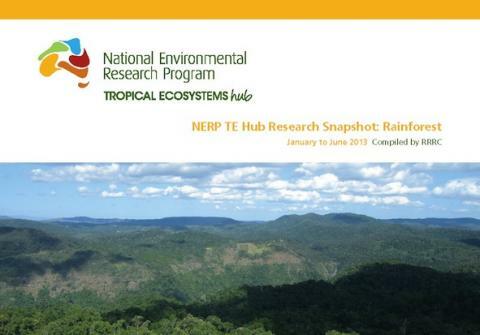 A snapshot of the research progress within the Tropical Rainforest node for July to December 2013. 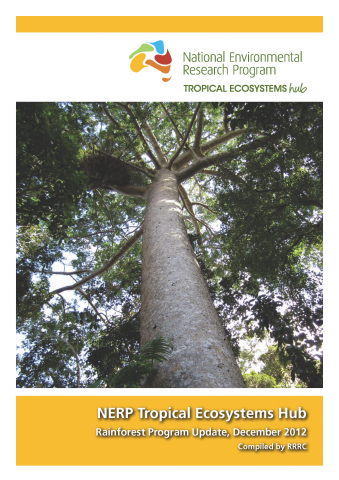 Little is known about the impacts of fire on rainforest vegetation or the animals which depend on it. 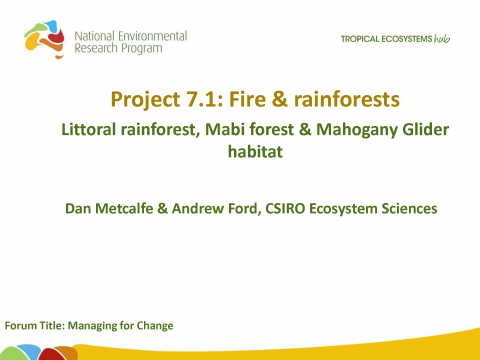 Fire can control vegetation regrowth after cyclones and help regeneration of eucalypt species, but it may also be important in determining succession in drier rainforest types. Fire also poses a threat to animals relying on forest canopy habitat or sheltering in fallen timber. 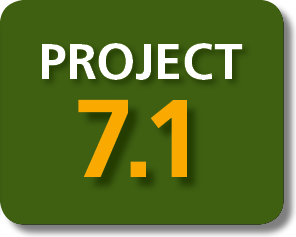 This project will investigate the positive and negative impacts of fire on rainforest vegetation and wildlife. Mayfield, M.M., Dwyer, J.M., Chalmandrier, L., Wells, J.A., Bonser, S.P., Catterall, C.P., DeClerck, F., Ding, Y., Fraterrigo, J.M., Metcalfe, D.J., Queiroz, C., Vesk, P.A., Morgan, J.W. (2013) Differences in forest plant functional trait distributions across land-use and productivity gradients. American Journal of Botany. 100 (7), 1356-1368 [doi:10.3732/ajb.1200461]. Mokany, K., Westcott, D.A., Prasad, S., Ford, A.J., Metcalfe, D.J. 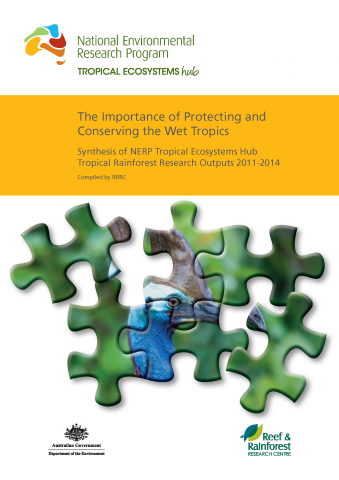 (2014) Identifying Priority Areas for Conservation and Management in Diverse Tropical Forests. PLoS ONE. 9(2) e89084 [doi:10.1371/journal.pone.0089084]. Ford, A., Conn, B. (2013) Rediscovery of Prostanthera albohirta C.T.White (Lamiaceae). 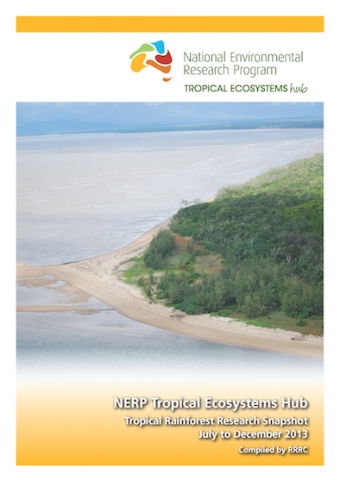 Telopea Journal of Plant Systematics. 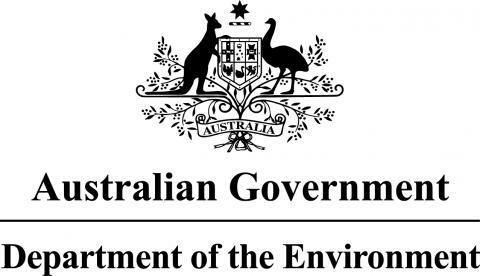 15, 107-110 [doi.org/10.7751/telopea2013014].